Naples Premier Concierge started out as a reaction to the changing healthcare environment, both on a national as well as a local level. Medicare has created incentives for physicians to see more and more patients in a shorter interval. This has led to the generally accepted 10-minute appointments that most physicians use to see patients, which has led to frustration on both the part of the physician and the patient. Locally, Naples Community Hospital Healthcare System bought Anchor Health Centers. This was a reaction to the Affordable Care Act, which relies heavily on Accountable Care Organizations (ACOs). An Accountable Care Organization is a term with which you should become familiar. In straightforward language, an ACO is an organization that works with the Federal government to receive payments. The ACO then divides the payments to the individual members. Since the ACO can receive bonuses based on cost savings and quality indicators, there is a built-in incentive to keep costs down. Some of the principles that govern ACOs are similar to managed care programs. In order to form ACOs, hospitals have ventured into the practice of employing physicians. NCHMD, for example, has become one of the largest employers of physicians locally, leading to an unintentional loss of professionalism in medicine, as physicians are now employees just like any other hospital employee. This has led to a loss of control of one’s own office and general dissatisfaction among all parties. Physicians have reacted by not going to the hospital to see their patients and instead use hospitalists to admit their patients. Fractionated care is the result. A patient sees a physician or nurse practitioner (NP) in the office, a physician or NP in the Emergency Department, a hospitalist or hospitalist NP, and then eventually gets back to their primary care physician. Vital information is lost in all the hand-offs during this process, and has also led to patient dissatisfaction. Concierge or Direct Primary Care bridges this gap by doing what physicians have done for hundreds of years: care for their patients. 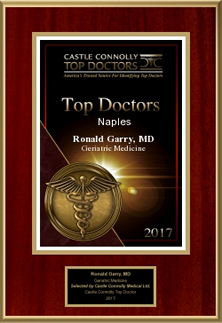 At Naples Premier Concierge we are committed to our patients and continue to try to offer the best healthcare experience for them. 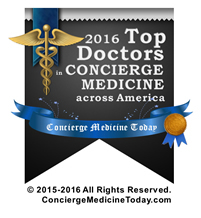 Top Docs In Concierge Medicine across the nation in 2016 by Concierge Medicine Today! Medical Website Design & Medical Website Marketing by Vital Element, Inc.